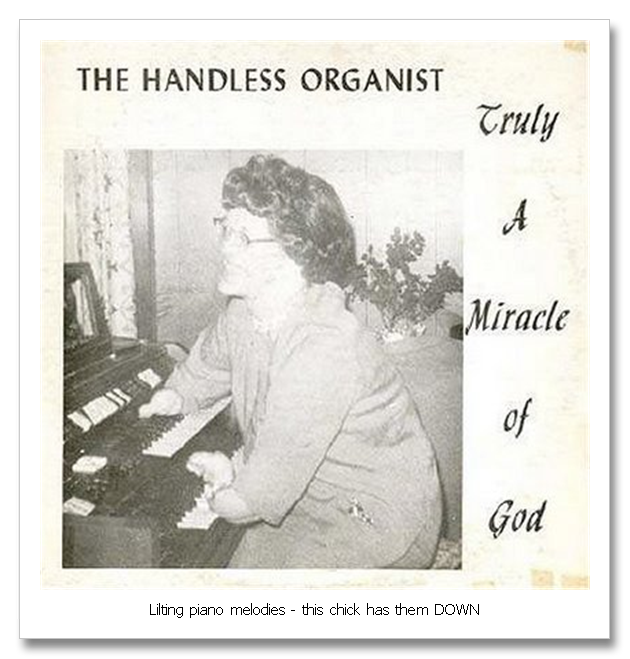 Call me old school, but I have a profound respect for hard-working bands. I’m talking about the kind that take a decade or more to fine-tune their sound and get a little better with every album they release. The National released their first album in 2001 and have since released another four studio albums, the last of which, 2007’s Boxer, received widespread critical acclaim, so much so that their song ‘Fake Empire” was used by the Obama campaign at many high-profile events during the last election. And so the pressure was on for the band to deliver the goods for their new album, High Violet, and they sure as hell didn’t disappoint. 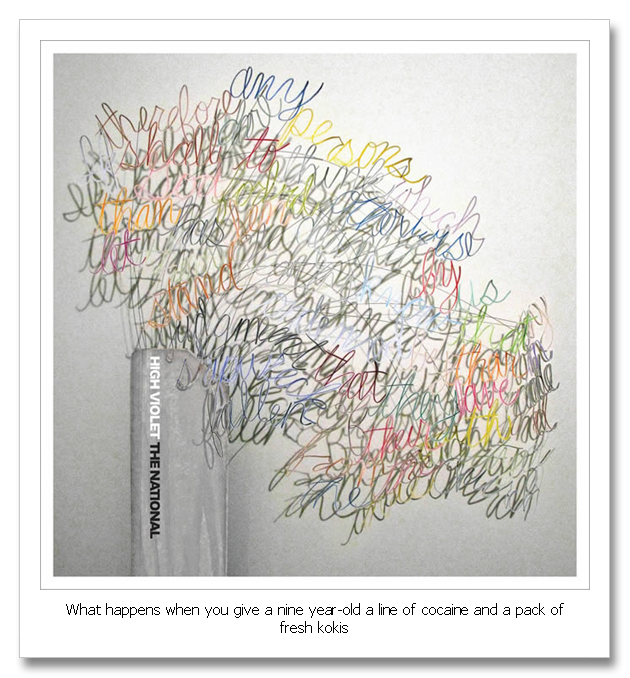 As with their previous albums, singer Matt Berninger’s vocals are a major attraction on High Violet. He keeps his distinctive baritone calm and steady throughout, choosing to steer clear of the wilder vocal territory of tracks like “Mr November” and “Murder Me Rachel” off previous albums, and it works like a charm. Imagine Nick Cave’s vocals stripped of all their hatred and fury and you’d have something close to Berninger who chooses subtle irony and pathos and his weapons of choice and wields them with great effect. The somber musical landscape of High Violet depicts a kind of sleeping pill society that hangs permanently in the space between waking and sleeping in a hazy reality where in a track like the Interpol-ish “Conversation 16” Berninger swings from confessing to feelings of inadequacy and regret to quietly and calmly singing the verse “I was afraid I’d eat your brains / Cause I’m evil”. The track “Anyone’s Ghost” stands out as one of the best on High Violet and picks up from where Boxer left off in terms of the band’s experiments in blending orchestral swells into their music. Drummer Brian Devendorf does an excellent job of giving songs like “Anyone’s Ghost” a clean and punchy beat which his brother Scott follows like a bloodhound on his bass guitar. “Afraid Of Everyone” is another killer track that Devendorf’s percussion stands out on. He’s the kind of drummer that knows exactly what to do when, and focuses on doing exactly that to the best of his ability rather than stacking songs full of complicated fills and showy drum rolls. There’s a sparsity in the way he plays on High Violet that suits the album perfectly. 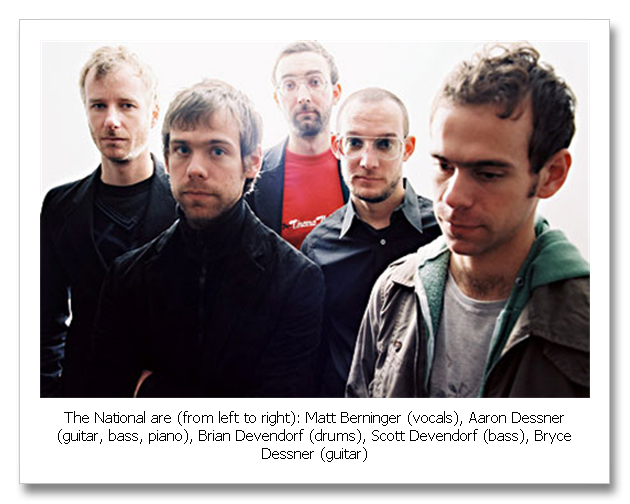 The National has a second pair of siblings in the brothers Aaron and Bryce Dessner who match each other riff for riff on rhythm and lead guitar with Aaron sometimes handling the bass and piano sections of their songs. For the most part their instruments take a backseat to Berninger’s vocals on High Violet except in tracks like “Runaway” where Bryce’s acoustic picking takes centre stage and “England”, which would be nothing without Aaron’s lilting piano melodies. Of course, High Violet won’t suit everyone’s tastes. It’s a lot more somber than previous albums, and the individual tracks are difficult to tell apart from one another on the first few listens, but their idiosyncrasies do start shining through if you give them the time they deserve. The best way to describe High Violet would be to imagine taking a track like Bruce Springsteen’s “Streets Of Philadelphia” and turning it into an entire album. For this reason, sadly, it can’t top their 2007 masterpiece when it comes to the complexity and range they showed themselves capable of, but it comes pretty damn close. Still though, High Violet is an album that will satisfy fans and possibly even turn first time listeners on to The National and so I would recommend buying this album and giving it a spin or two, because if nothing else, it should make for some welcome company on a rainy day. the “streets of philadelphia” analogy is a pretty apt one. i really like the album… my one complaint is that it just doesn’t kick off in some of the places where you really want it to. not all that different from the studio version, but somehow still manages to smoke it with an added dose of intensity. these dudes do love their suits though, don’t they?